Due to Millennials’ demand for healthy food that is also fast, full of flavor, and sustainably prepared, options for vegans and vegetarians as well as those who just want to eat healthily have increased significantly in recent years. Some of the vegan and vegetarian restaurants in Dallas have been around for a while, such as Dream Café and Kalachandji's. You can now even get vegan food from a food truck, such as Soulgood, or from a "grab and go" places where gourmet vegan dishes are ready for a pick up and reheat, such as Snap Kitchen. The fierce competition means that everyone is finding new ways to make their vegan and vegetarian dishes more flavorful and imaginative, so healthy eating is becoming increasingly attractive. Located in Oak Cliff near Bishop Arts, Spiral Diner makes vegan dishes taste like gourmet meals. 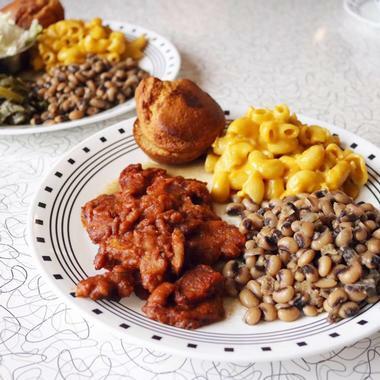 They have reinvented both American comfort food and Tex-Mex classics, making them 100% vegan and mostly gluten free, and the people are flocking in. Located in an industrial space made cozy and homey by the warm colors and retro furniture, they offer a diverse menu that includes a bit of everything, from veggie wraps, burritos, and pasta primavera to cashew cheese nachos and chicken pot pie – without the chicken, of course. They are famous for their cakes, which are made with organic sugar, organic non-hydrogenated oil, organic flour, and fair trade cocoa and spices. Occupying the same spot as Dallas’s original raw food restaurant Bliss, Be Raw inherited not only the space but also the atmosphere, the recipes, and many of the customers. The place is small but the décor is pleasant and cozy and the atmosphere is cheerful. Everything is 100% pure, with no artificial additives of any kind and the cuisine itself is organic, vegan, live, and gluten free. For the skeptics out there, it is also delicious and all the vitamins and minerals are preserved during preparation, the way nature intended. The menu goes way beyond salads and there is something for everyone; even people who are not vegan admit that the flavors are so rich they are enjoying the experience. Try the coconut kale enchiladas or the butternut squash soup and do not miss their cakes and smoothies. If any part of your body needs cleansing, they’ll have something for it. Cosmic Café is an Indian restaurant, meditation area, and coffeehouse under the same roof in an old brick house in the Oak Lawn neighborhood. It offers to feed your body and soul in surroundings you will not easily forget, featuring a riot of colors and huge murals with characters from Indian mythology, Buddha sculptures, and more Indian kitsch than a popular Bollywood movie set. Even if your soul does not need feeding and your body does, the menu is well worth the visit, also for meat eaters. From Indian samosas, pakoras, and dahl to vegetarian tacos, burgers, pizzas, and falafel, everything is delicious and very well prepared. There are smoothies, lassies, juices, and chai tea as well as good beers and organic wines. If you are curious, stay for free yoga classes, meditation, poetry reading, or a bit of Indian music. Dream Cafe has been a Dallas institution for more than 20 years. With a pleasant, relaxed atmosphere, a wonderful green patio, and a mix of healthy dishes on its extensive menu, it is popular among vegetarians and other health-conscious people, but there is something here for everyone. They serve three meals a day, with some delicious meatless options such as the Global Dinner with organic black beans, brown rice, melted Jack cheese, guacamole, sour cream, and pico de gallo. Their pitas are fabulous too, try their Uptown Pita stuffed with chickpea hummus and grilled veggies. There is live jazz in their Uptown location once a week. Freshii, one of the fastest-growing healthy fast food chains, wants to prove that healthy food does not take forever to make. Their health-minded counter-serve chain with hundreds of shops all over the States and Canada offers salads that are tossed in front of you, hearty soups, imaginative burritos and wraps, and so much more. Everything about Freshii is green, sometimes literally, like the walls in their small, sleek stores. They use recyclable materials, cut down on energy use, wrap their burritos in collard greens instead of tortillas, make their ranch dressing with Greek yogurt and olive oil instead of butter and cream, make soups with vegetable broth instead of cream, and so on. They cater to those who do not have the time to cook but still want to eat healthy, like busy and health-minded Millennials, but their meals are so delicious that they broke the generation barrier a long time ago. Goji Cafe is large vegetarian restaurant in the Koreatown neighborhood of Dallas that serves nothing but vegan dishes. Goji offers fresh, seasonal, high-quality, authentic Asian (mostly Chinese) cuisine. Their goal is to bring to Dallas a unique vegan option that is healthy, authentically Asian, and delicious. 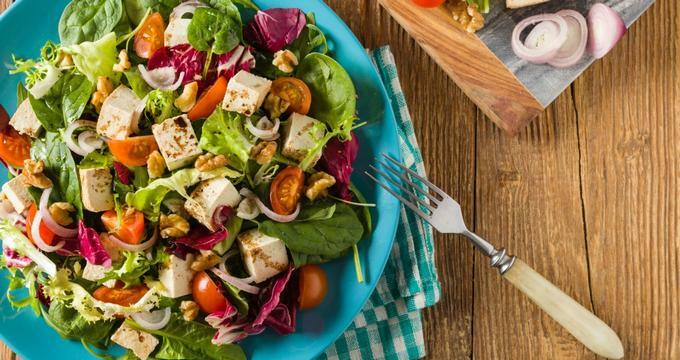 They share their belief in the health benefits of the vegan diet, but are confident that even meat eaters and vegetarians will enjoy their food and at least include vegan food into their lifestyle. The restaurant is spacious, no-frills, with a large buffet for lunch and a la carte dining. Dishes are imaginative with interesting combinations of ingredients, ensuring a unique experience even for those who are not too health conscious. Snap Kitchen is a "grab and go" chain with shops in several large cities specializing in healthy takeaway meals, snacks, and juices. The store in Dallas looks more like a grocery store, with a line of fridges and a few tables for those who cannot wait until they get home. Most people order online and come and pick up their perfectly packaged meals ready to be reheated. The food is carefully prepared under the supervision of Executive Chef Matt Reinhart with the advice of a dietitian and contains no GMOs, artificial colors, preservatives or flavors, is made every day from scratch, prepared by hand and in small batches in their neighborhood kitchens. There are meals that are gluten free, paleo, dairy free, vegan, or just regular, delicious dishes such as bison quinoa mash, chicken teriyaki, or chicken masala. Soulgood is both a vegetarian and vegan fast-food catering company and a food truck. They prepare locally sourced, healthy, organic, and seasonal plant-based foods for the health-minded people of North Texas. They work with local gardens and farms such as Bonton Farms and Sunny South Dallas Gardens. Their food is quirky, low calorie, low fat, and very nutritious and you can get it all prepared and packaged for you. They serve breakfast, lunch, and dinner. Their choice of dishes is very diverse: Vegetarian and vegan burgers, fries, oatmeal, tacos, pancakes, vegan cupcakes, and much more. You can order the truck for your next local festival or celebration. ‘Like’ the truck on the Facebook to be kept informed of where it is going to be that week. Eating healthy just got a whole lot easier. The popular Dr. Andrew Weil’s anti-inflammatory diet got a practical implementation in the True Food Kitchen, an upscale chain of healthy restaurants serving food that also tastes good and makes you live longer. They are trying to stick to that promise in their Dallas Preston Center spot, a spacious, modern, and lively eatery where the open kitchen has a front stage and you can watch your meal being prepared. There is also a nice patio when it gets too boisterous indoors. They serve American fare with many vegetarian, vegan, and gluten-free options. You can expect delicious spaghetti squash casserole, Scottish steelhead, the Inside Out Quinoa Burger, and imaginative and flavorful bowls as well as a good selection of wine, local craft beers, and fresh-pressed juices.